KISA – Action for Equality, Support, Antiracism sent a questionnaire to the presidential candidates on the issues of migration and asylum, equal treatment and integration of migrants and refugees, combating nationalism, racism, hate speech and hate crime, as well as the beginning of a public debate for amending the migration model of Cyprus. With the questionnaire, KISA aimed to bring to the forth the positions and election programmes of the presidential candidates on these important issues, which affect migrant and refugee communities but also reflect Cyprus’ response to the principles of equality, democracy and solidarity. Of the two final contestants, only Mr Stavros Malas responded to KISA’s questionnaire. In his response, Mr Malas referred us to the “Migration and Asylum” section of his election programme, where it is underlined that it is necessary to “formulate a comprehensive and according to international law migration and asylum policy, which will develop conditions of inclusion and not exclusion of migrants and refugees”. In this framework, Mr Malas assures us, other issues contained in KISA’s questionnaire will be subject to consultation will all relevant agencies and civil society organisations. 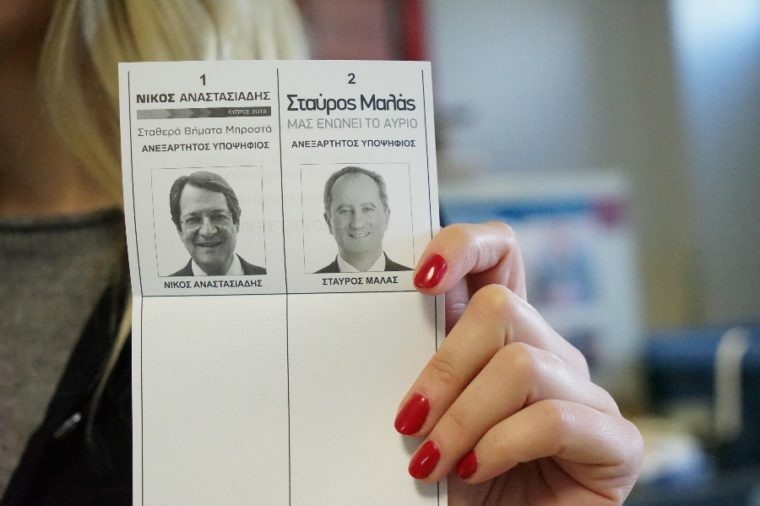 In contrast to his haste to respond to ELAM’s questionnaire, and despite our repeated reminders to his election campaign team, Mr Nicos Anastasiades did not respond to KISA’s questionnaire. Which does not really surprise us since the only reference in his election programme to migration and asylum is that “We focused all the support of the state to every eligible person only on one point, preventing the abuse of the system and establishing a fair welfare state. With the introduction of the coupons system instead of money we have succeeded in containing the abuse of the system by migrants.” In conclusion, he reassures that “The expenditure on asylum seekers decreased to 783,000 in 2016 compared to 10.1 m. in 2011». It is more than apparent from the above that the positions and policies of the two presidential candidates also differ substantially in the fields of migration and asylum. On the one hand, Mr Anastasiades’ programme confirms that his positions and policies will, if elected, as in his present term, aim at further violations of the rights of the vulnerable groups of migrants and refugees. It is also important to point out that the single relevant reference in his election programme flatters and woos extreme right and nationalist elements and politicians, who parade their nationalism and racism unperturbed as a the highest patriotic virtue, thereby promoting and instigating hate speech and hate crime against migrants and refugees but also against our Turkish Cypriot compatriots. On the other hand, there is Mr Mala’s candidacy, whose “policies on migrants and refugees are based on the respect of the principle of equality”, promoting specific measures that will contribute substantially towards this direction, as for example national action plans for integration of migrants and for combating racism, xenophobia and hate speech and hate crime, strengthening of combating human trafficking for sexual and labour exploitation and for the protection of victims of trafficking, as well as the ratification of the ILO 189 Convention on Domestic Workers and the UN Convention for the Protection of the Rights of All Migrant Workers and Members of their Families. KISA, in the framework of its vision and action for promoting equality and creating a society without exclusions, which empowers and encourages the equal and active participation of all people, irrespective of any diversity, residence status and citizenship, places the above positions for consideration to its members and friends as a guide for the elections on Sunday.